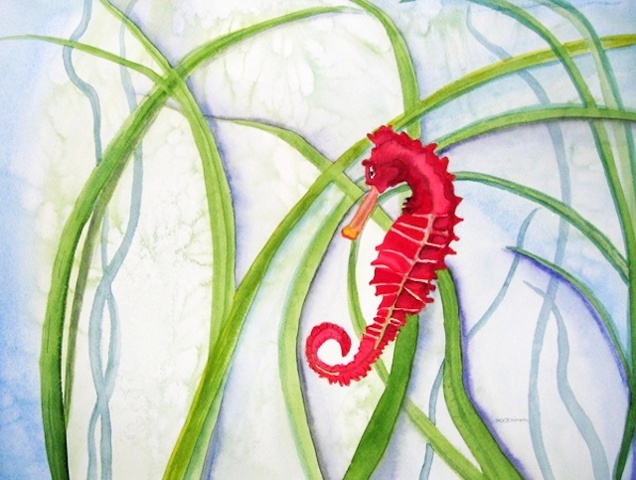 P-183 Seahorse Among Sea Grasses, watercolor print on premium, high-gloss paper with a metallic finish; print size: 10"x8". No matte. PURCHASE through PAYPAL: click on price above; shipping already included. Copyright does not transfer with the sale of the art work.